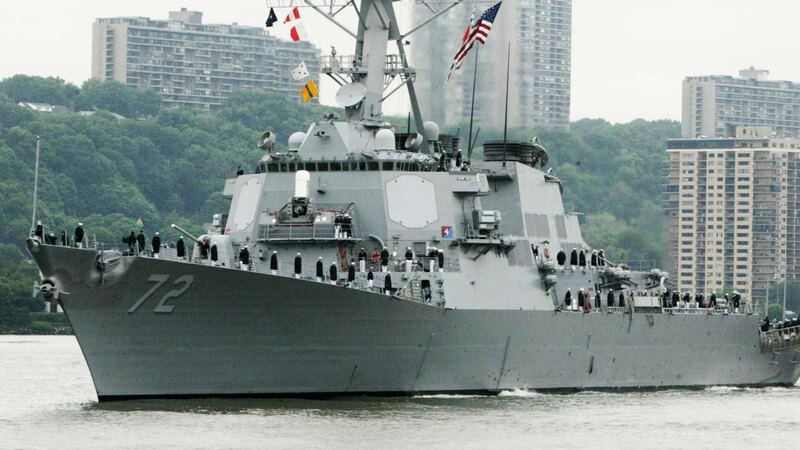 WASHINGTON -- A U.S. military official says a U.S. Navy warship fired multiple warning shots at Iranian patrol boats in the Persian Gulf after the Iranian vessels ignored other warnings. The official, who spoke on condition of anonymity to discuss an incident not yet publicly announced, said a U.S. destroyer, the USS Mahan, was transiting the Strait of Hormuz on Sunday when a number of Iranian boats sped toward it and failed to respond to inquiries. The Iranian boats broke away after the warning shots were fired, and then established radio communication with the Mahan by asking its course and speed.